Do you wonder what that means, to hear God’s voice? Do you ever think, how can we really know that we are following him and not our own inclinations? In Romans 8, the Bible says, “And we know that in all things God works for the good of those who love him, who have been called according to his purpose.” Do you wonder what it means to be “called” to God’s purpose for your life? These were some of the questions I asked myself when I began to read “the promises of God” on various websites and in a book I purchased, seeking to comfort myself during challenging circumstances. I then realized that the problem with these “God’s promises” resources is that we are only focused on half the equation – what can GET from God – but in order to receive those promises, he tells us that we need to GIVE to God by being in his “good, pleasing, and perfect will.” (Romans 12). How do we know what his will is? 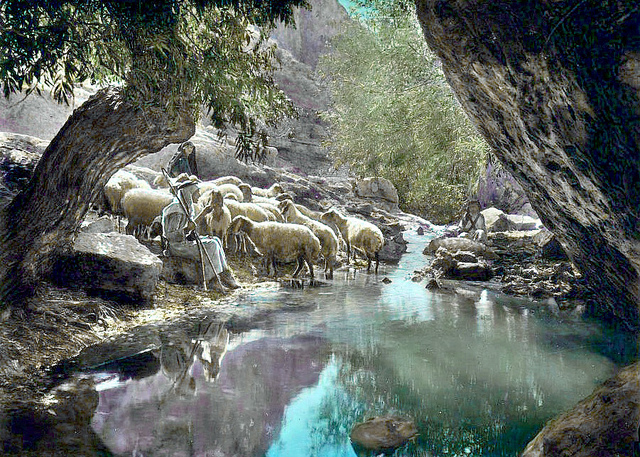 In John 14, Jesus clearly says what is expected from us: “If anyone loves me, he will keep my word, and my Father will love him, and we will come to him and make our home with him.” Be comforted by God’s promises and learn his will for your life, through his Word, drawing closer to him to hear the whisperings of his will in your heart. Starting with the New Testament, I will share each verse(s) I come across that speaks of God’s wonderful promises, with an inspirational photo along with my thoughts and study on it, using a blue frame for easy identification. As I walk through the chapters, I will also capture verse(s) that speak on what God expects from us or wants for us as his will for our lives, will be analyzed and presented with an inspirational photo, using a green frame for easy identification.